Jessica White was raised in country NSW, Australia, and, at age 4, contracted meningitis and lost most of her hearing. Undaunted, she made her way from a primary school of 100 pupils to publishing her first novel at age 29, before graduating with a PhD from Birkbeck, University of London. Her first novel, A Curious Intimacy, was published by Penguin in 2007. It won a Sydney Morning Herald Best Young Novelist award, was shortlisted for the Dobbie prize and the Western Australia Premier’s awards, and longlisted for the international IMPAC award. 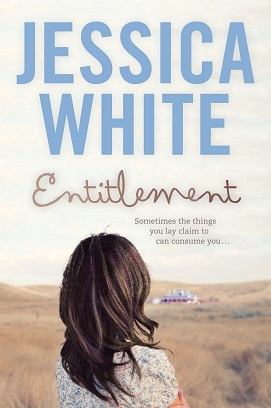 Her second novel, Entitlement, was published by Penguin in 2012. 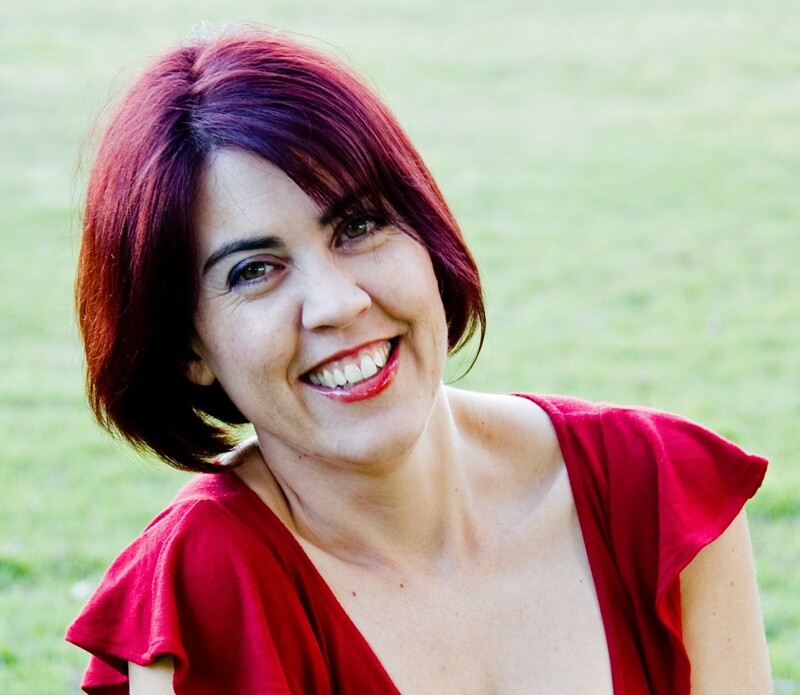 Jessica’s short fiction, essays and poetry have been published widely in Australian literary journals and she has also won funding and residencies. I’ve been writing since I was small. I wrote letters to my relatives in New Zealand and my Singaporean pen friends, found via the amazing Australia Post pen-friend dispenser at Expo 88. I also wrote stories and kept a diary. I was naturally drawn to writing because I was an avid reader, which in turn came from being deaf. It was easier to pick up a book than go through the effort of trying to hear or lipread in a conversation. In my final year of school my mother took me to a careers advisor. After a series of aptitude tests, he explained that I found being deaf very frustrating and needed a creative outlet to express this. When he suggested creative writing at the University of Wollongong, I knew immediately that this was what I wanted to do. After Wollongong, I did a Masters in Writing at the University of Technology, Sydney, which meant I could write my first novel, A Curious Intimacy. I won a mentorship from the Australian Society of Authors and was able to work on the manuscript with an editor. I sent it off to some agents and Pippa Masson of Curtis Brown picked it up, and then we got the contract with Penguin. 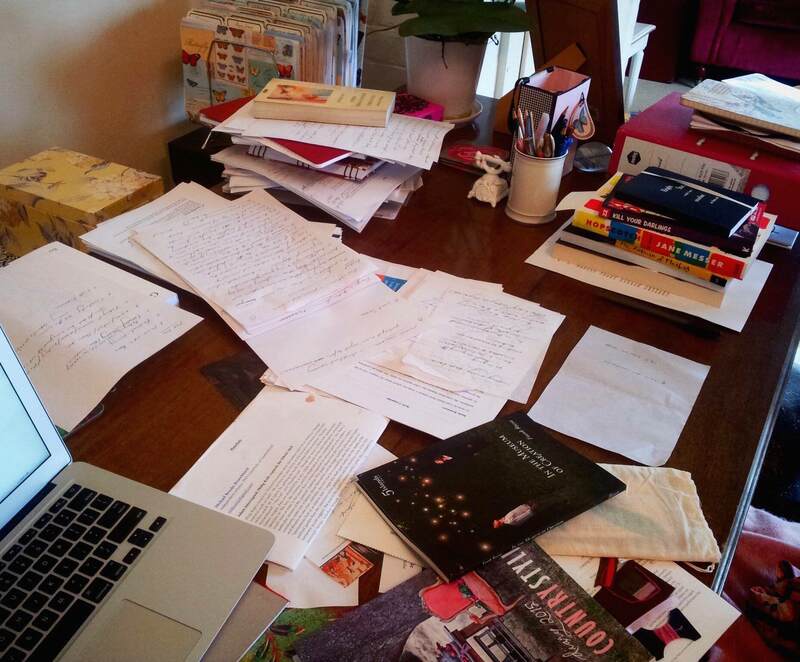 I ended up editing the book while doing my PhD—not an approach I would recommend to anyone! I’m a bit overworked! I’m tidying up Hearing Maud, a memoir which is woven together with my research on Maud Praed, the deaf daughter of 19th century Queensland novelist Rosa Praed. I’m revising The Sea Creatures, a speculative fiction novel about mermaids and climate change, and I’m researching and beginning to write a young adult fiction about animals and disability, When the World Shivered. A Curious Intimacy and Entitlement are available as ebooks. I work at an old wooden table covered in a mass of paper, folder, pens, books and girly trinkets. I have a view of tall eucalyptus trees, palms, and an invariably bold Brisbane sky. I have a job as a research assistant for a not-for-profit organisation two days a week, which leaves four days for writing, then I have a day off with my boyfriend and friends. The first day is always a mess—it takes loads of procrastination (cleaning, watering my plants, admin) before I can get into it—then after that I’m in the zone and don’t particularly want to talk to anyone. I run or swim in the afternoon when my brain is zonked and I can’t write anymore. If I have something I can’t work out, I usually unknot it in the pool. I write in longhand and type it up afterwards. I always have a vague idea of the plot and work the rest out as I write. I piece it all together after that, editing and moving bits around intuitively until it feels balanced. I think’s it similar to when I did my piano practice when I was young. My father, if he was watching TV next door, would yell out “Wrong note!” whenever I made a mistake, as he had an ear for music and I didn’t. Sometimes the story just doesn’t sound right and I rework it until it does. Initially I began writing seriously as a vent for the emotional turmoil over my disability. It then became a way of working out what I thought about the world and of expressing my frustration with social and environmental injustice. These days, if I didn’t write, I would go mad. I have 12 projects in my head (including the three I’m working on now)—8 novels, 3 books of non-fiction and a book of poetry. These have been inspired either by my disability or the way people interact with the Australian environment. I’m a researcher and scholar as well as a fiction writer, and often the things I come across in my research prompt new stories. The lack of stability, which goes hand-in-hand with the lack of money. I can survive on little (so long as there’s enough to buy Leona Edmiston frocks in the sales!) but the constant scrounging for time to write gets wearying. I’ve been blessed by some grants of late, but these came after some eleven applications to the Australia Council over 6 years. I frequently panic that I have so much to do and not enough time to do it. Writing takes a long, long time. Not just in terms of production, but also in terms of the publication process. Patience is essential, as is the utmost belief in oneself, as well as never, ever giving up. I always aspire to create works that make people think about injustice but which, above all, are enjoyable, with a good plot and beautiful, well-crafted phrases. More broadly, I would like women’s writing to be taken more seriously than it is. I’d like the industry to do away with the gendering of genre and book covers. I’d also like to see much more writing about disability, and more government respect for and investment in the arts. Gail Jones, Kris Olsson, George Eliot, Daphne du Maurier, Charlotte Bronte, Ann Patchett. Gail Jones, Michelle Dicinoski, Kristina Olsson, Chloe Hooper, Gabrielle Carey, Fiona Capp. Lovely interview – I’m a bit of a Jessica fan. Love her desk. That’s what mine would look like if I still had one, but my desk is now my sofa and a side table. But on it, like Jessica, I have a Mac. Looking forward to your coming books Jessica, especially Rosa Praed.